some lovely sweeping wide, and high shots. Also, lots of the ep is quite dark, and has a gritty feel, which is very SPN. The shots of the boys and their torches is fantastic. Agree as well J2 acted their tiny, round behinds off, understated and beautiful. Will give Misha some kudos too, he looked like he was one second away from crying. Totally sick of Nick, no one is scared of him, he is just boring now...take him away. does he listen to Nick, and go totally darkside? (heh heh darkside) or lay himself at Sam and Dean's feet? I thought the snake excuse was rather simplistic, Cas should have said that he was worried after the snake, and Jack's increasing coldness, and should have looked further into it, but he didn't. Castiel: What he did wasn't bad. It was the absence of good. there was a lot there in hindsight. 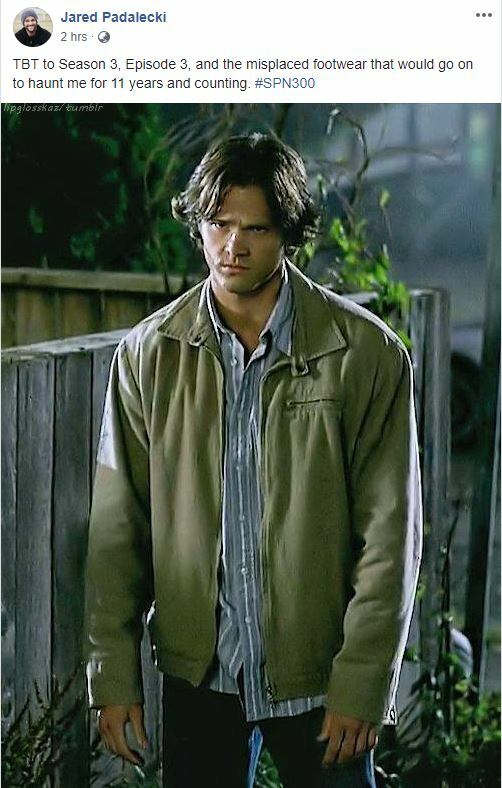 I guess i am more grieving for Sam and Dean, as in one episode they lose their Mother and their surrogate son. I also liked how the show did the death, without us seeing it, it's scarier that way, as your imagination takes over. 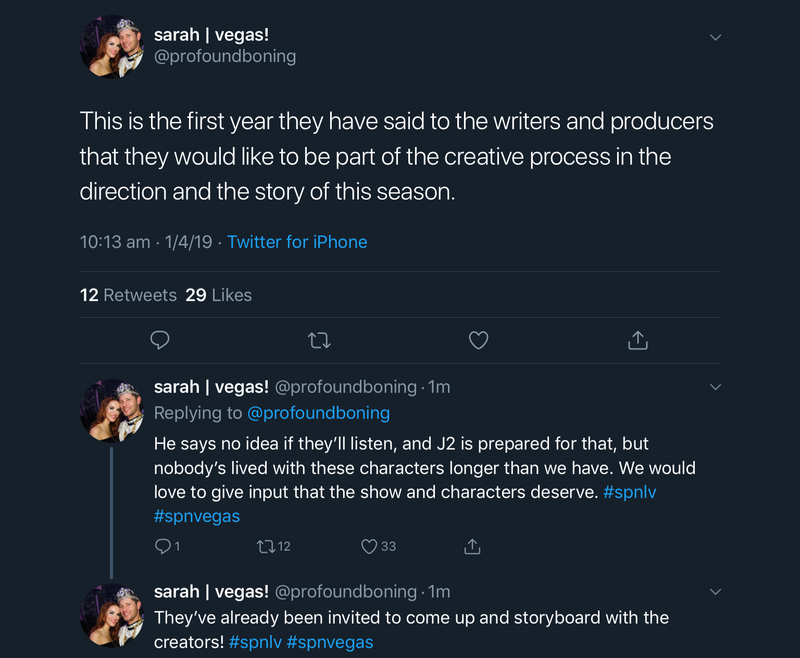 I am really looking forward to the last two eps but not the final hiatus. This makes me so HAPPY!!!!!!! 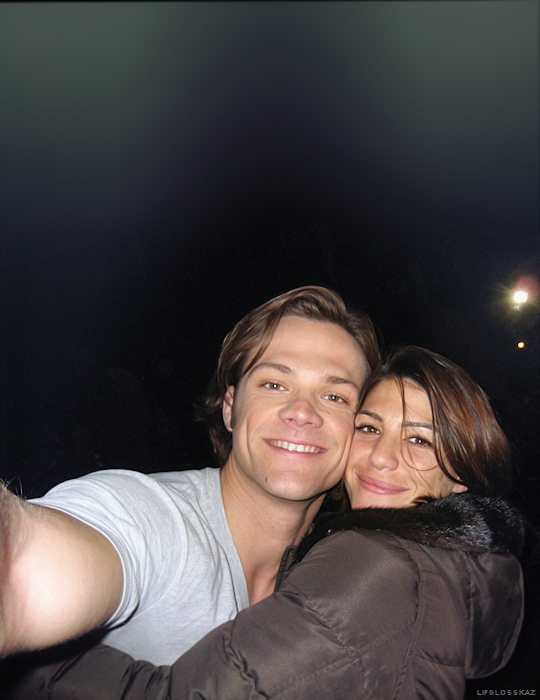 The #spnfamily got Greg there and brought some joy into his life. also J2 are going to be at AHBL this year WOOHOO!!!! I am so going. yaaay!!!! Look at JJ behind Jensen, she is having the best time!!! and Jensen looks pumped!! 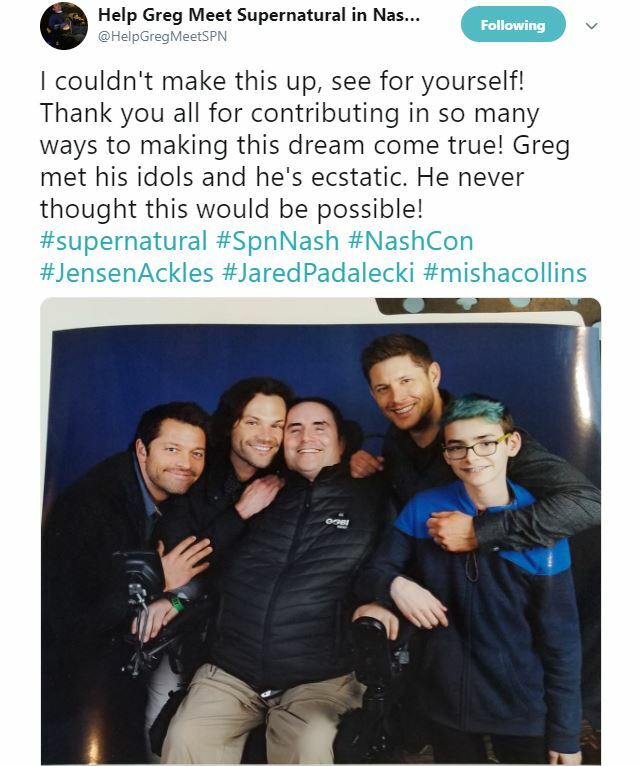 lets send greg to nashcon! 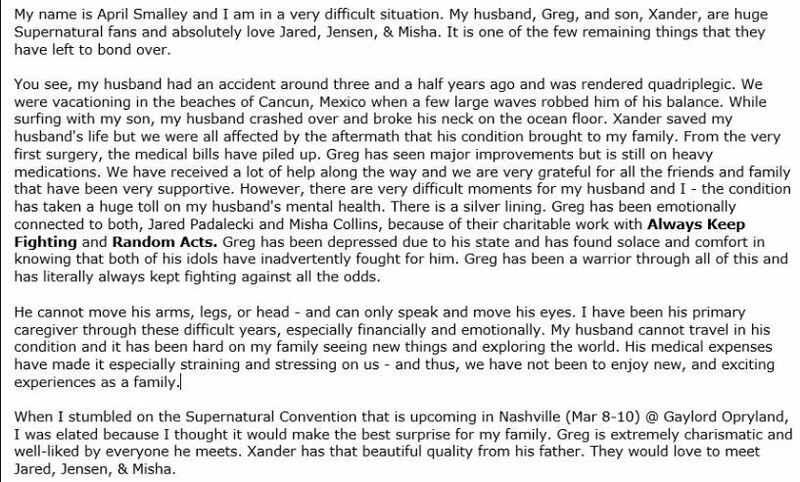 Note: i am not affilated with this at all but when i read that Greg cannot move (except his eyes and voice) i had to share. 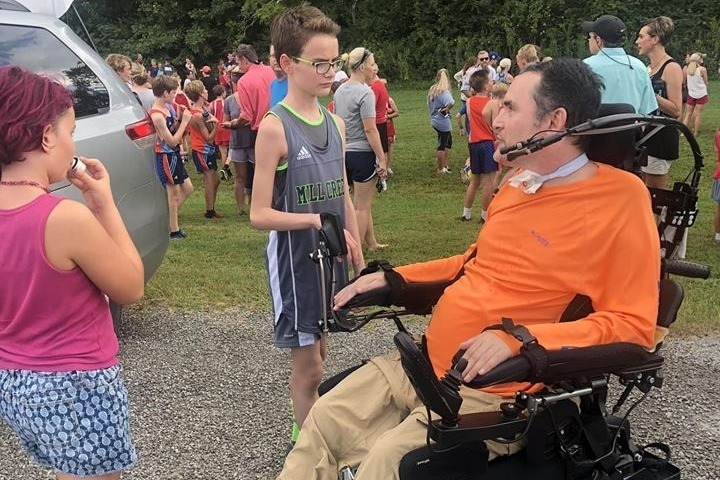 What a blessing if we could all donate $5 and get him to his local convention..
and here is the twitter fundraiser page if you would like to retweet or send some encouragement. If you can't donate then please consider sharing and lets get this done! this was an amzing performance!!!! Also happy #SPN300 day everyone!! break my heart why don't you? maybe someone else can do something?